Okay, so aside from being obsessed with pumpkin, I am also obsessed with apple cider. I particularly like the spiced cider from Trader Joe’s. The only ingredients in it are apples and spices! Well, I needed something to pump me up for my afternoon workout, and was feeling festive. 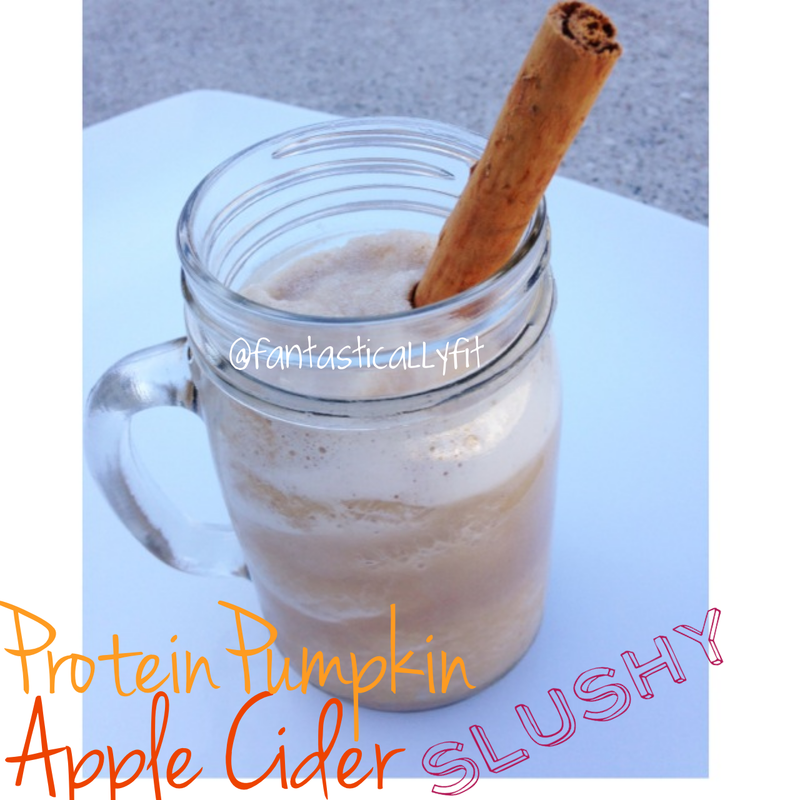 Thus, the Protein Pumpkin Apple Cider Slushy was born. The flavors are amazing not too mention that I got to use my new favorite protein powder Pumpkin Spice Whey from About Time! If you want to get it you can go to tryabouttime.com and use my discount code: FANTASTICALLYFIT for 25% off all purchases! HOORAY! Oh! And if you are wondering where I got this awesome glass mason jar with a handle, I got it from ecojarz.com! They have a ton of awesome jars and lids! Go check them out and use my promo code: ECOFIT for 5% off all purchases! Blend all ingredients in a blender! And slurp that slushy up! Don't have Pumpkin Spice Whey Protein Powder? 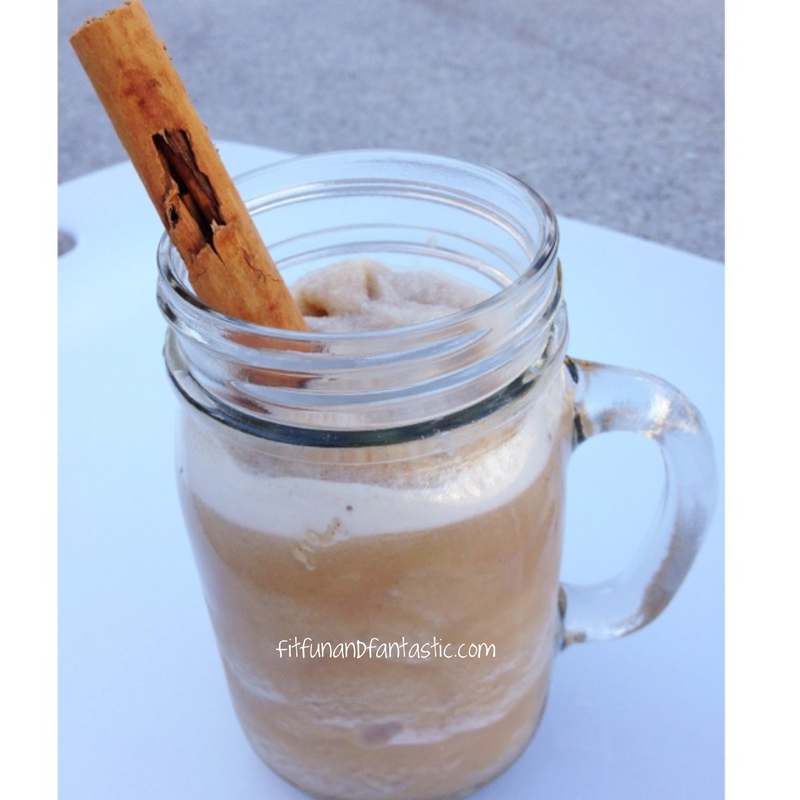 You could always use Vanilla and add Pumpkin Pie Spice!